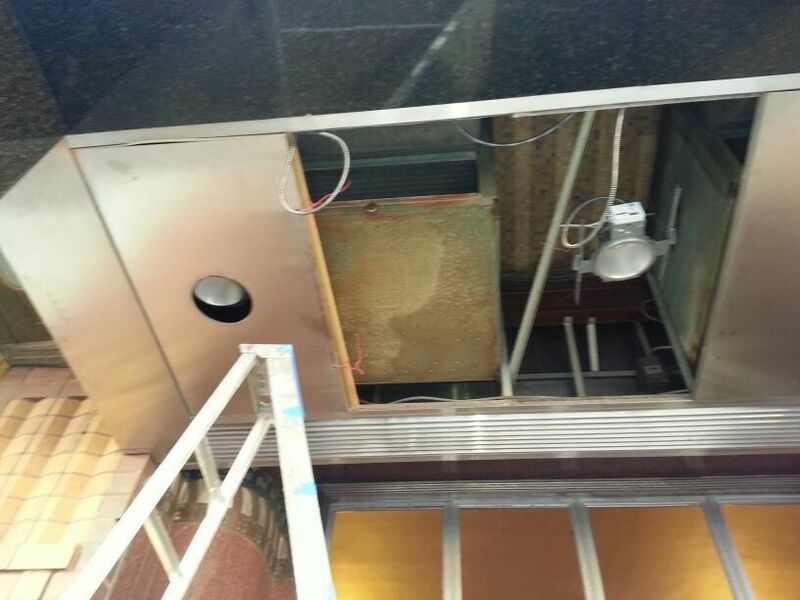 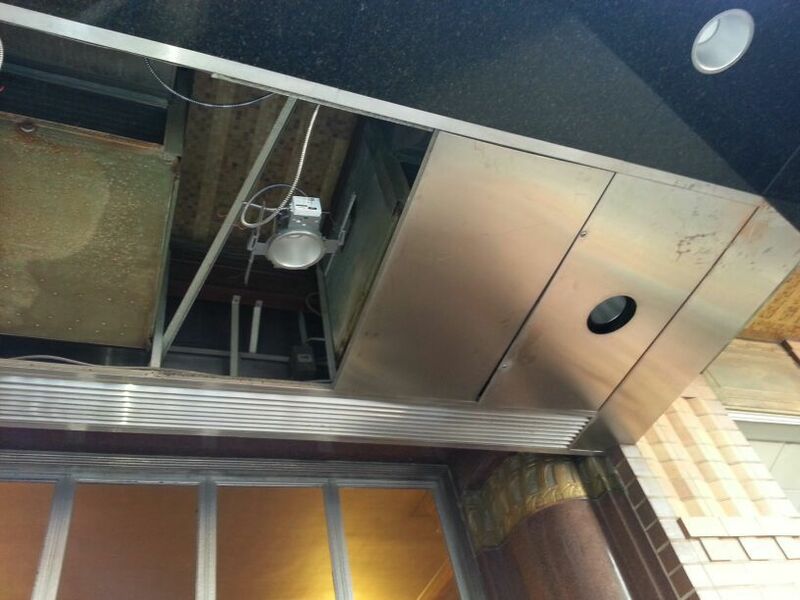 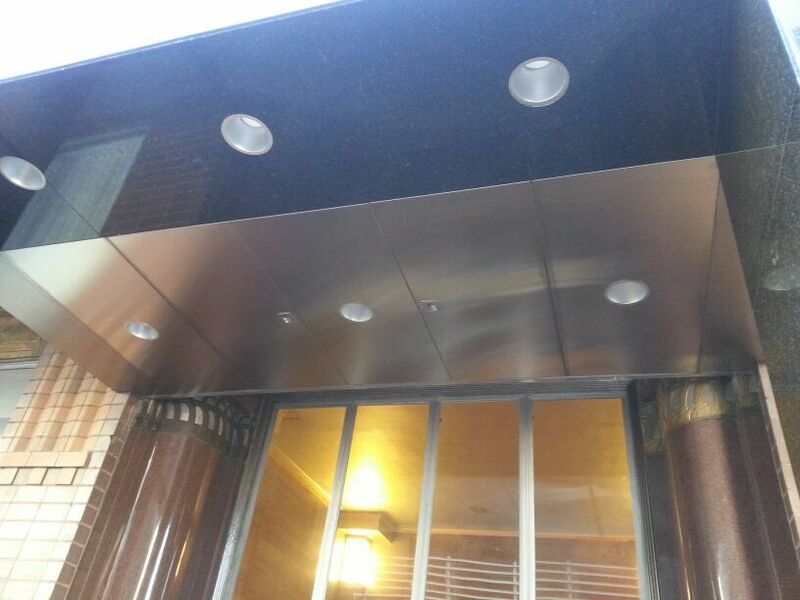 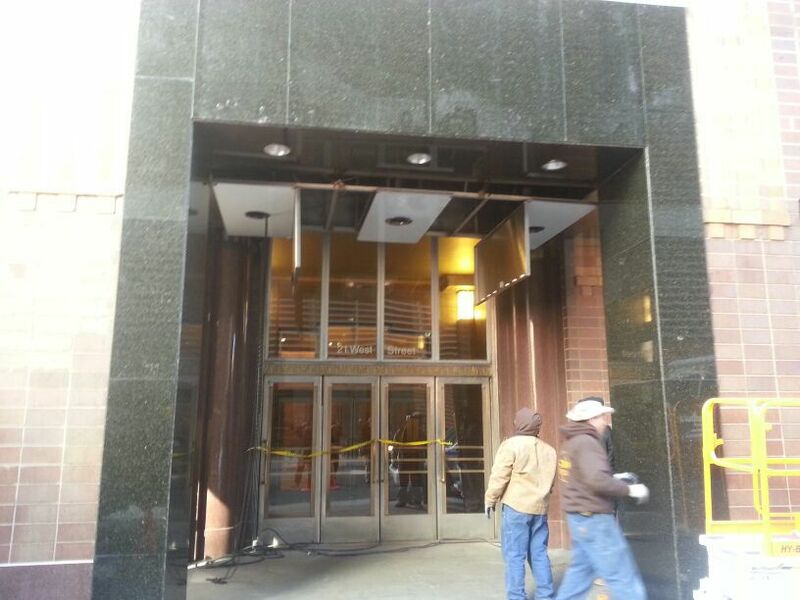 A New York City building required a custom soffit panel installation for the main entrance into the building. 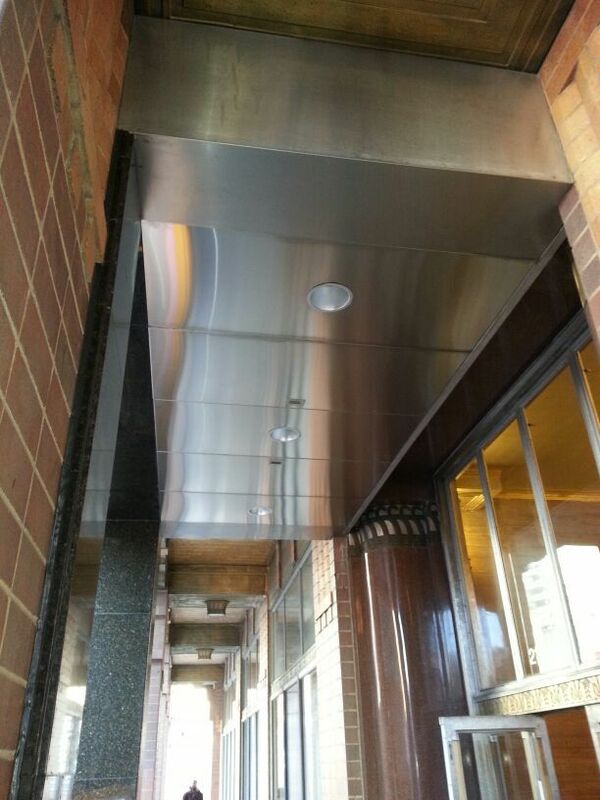 Altona Custom Metal fabricated the panels at our Little Ferry, NJ facility and installed on site. 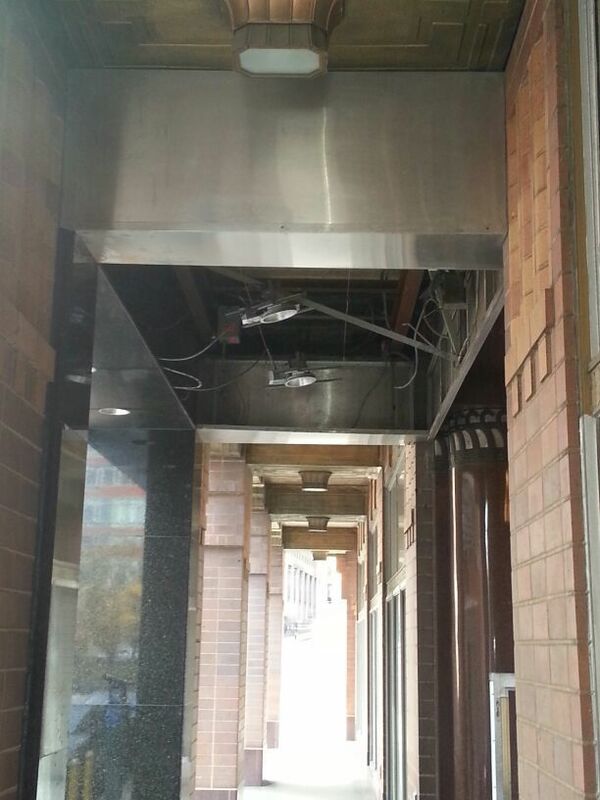 Before and after pictures are below.